Another wonderful flower festival is over and now many of us are reflecting on the very successful weekend it was. In our tea rooms we had a really happy five days serving lunches and teas to over 1,000 people, but none of that could have happened without our enormous band of helpers: firstly, all the kind people who donated the food (over 100 cakes) and also the non-food items; and then the large number of friends who worked in shifts in the kitchen. The stars of the tea room “staff were the children. They behaved beautifully and were polite and helpful to our customers, especially the elderly and disabled, and we all enjoyed their cheerful company. So a very big thank you to Maricon, Olivia, Tyler, Theo, Felix, Ellie, Daisy, Alexander, Kelly, Sidney, Hamish, Serena and Rosanna. Last but certainly not least I want to give a huge thank you to my “Stalwarts” – Jenny, Carol and Avril. They worked so hard but together we had such a fun and happy weekend. Thank you to you all. Also, see our other Flower Festival article here. Having just moved here from Greenwich, London to Chipping Campden, I would like through the Bulletin to thank the many friends and neighbours (they know who they are) for their warm and generous welcome. It is very nice to be made part of a friendly community having come from a large and “too busy to pass the time of day” area. We are both looking forward to spending many happy years here. 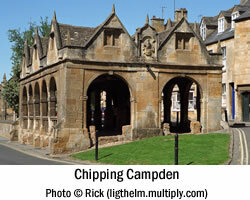 It’s comforting to know that good things happen on the streets of Campden! Totally unaware, I dropped my purse outside the library which was thankfully found by a couple waiting for the bus. The tourist information office being closed, they handed it to a lady in the town who kindly took the trouble to phone my home and mobile numbers. Apart from cash, I would have also lost debit/master cards, and a driving licence and the prospect of cancelling and renewing these was not attractive. Not only am I enormously grateful to these kind people, it’s good to know there are thoughtful, caring people around.